"Dr Nili and her staff are amazing! I got the Zoom and I love the results! " "I recently had my first visit with Dr. Nili, and I could not be more happy!" "Loved my visit when I first came in and everybody was so nice and my teeth look so nice." "My husband purchased Zoom Groupons and we couldn't be more pleased." "Staff were extremely knowledgeable, friendly and very accommodating. " " I would highly recommend this office as everyone is so kind & professional!" G. Nili, DMD, is an experienced and compassionate dentist who treats patients in Newport Beach, California, and its surrounding communities at G. Nili, DMD Cosmetic & Family Dentistry. Dr. Nili studied at Boston University in Boston and graduated with her dental degree in 1986. She’s consistently been on the cutting edge of modern dentistry and the latest technologies in the field. She was the first dentist to be fully trained and licensed by Millennium Dental Technologies, Inc. in treating periodontal disease with the PerioLase®, which was the first laser treatment created specifically for gum disease. 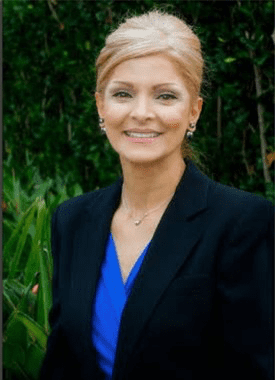 She’s maintained certification in PerioLase treatments for over 20 years and was the first dentist in Orange County to adopt a PerioLase for her practice in 1998. Dr. Nili has been an artist since childhood and focuses on aesthetics with a critical eye for beauty. She employs these artistic skills in her dental practice to create a calm, serene atmosphere that nurtures aesthetic integrity and delivers highly individualized smile makeovers that look not only beautiful, but natural as well. Every procedure she does, from simple fillings to crowns and veneers, is done to appear natural and undetectable. Dr. Nili is passionate about her patients’ well-being, and fosters a positive experience for them from the moment they enter her office, all the way through the completion of their treatment. This dedication has earned her a reputation as a leading practitioner in her field, while the results that she produces has earned her a dedicated clientele with beautiful, luminous smiles. All insurances accepted at our office are PPO insurances. If you have any questions about your insurance coverage, please contact the office location you are planning to visit. We look forward to working with you! "I love my teeth they look 100xs better. The Doctor is experienced and very detailed excellent work." "Dr. Nili is a great dentist and is very detailed. She explains everything that needs to be addressed and works with you to accomplish the necessary work. " "Best dentist I've ever been to and I only had a cleaning. Completely painless, hope I have no other dentists. These are the nicest people to ever work on my teeth." "The treatment was very effective, fast, and easy. The staff could not have been more friendly. We love them! We'll definitely be back!" "Dr. Nili and staff were so kind! I went in for the zoom teeth whitening and feel the results were incredible. The staff is very friendly and nice." "Their dental hygienist Lily is very detail oriented and My teeth always feel extra clean after she works on them!"